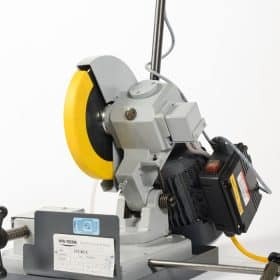 The HYDMECH P350 Cold Saw will deliver a clean and straight cut that requires no secondary finishing operations. 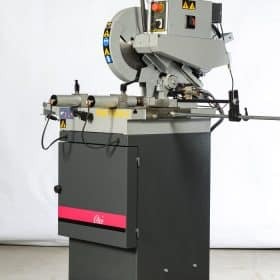 This cold saw keeps excess heat to a minimum when working on metal cutting applications and will also provide quality cuts on thin wall tubing. 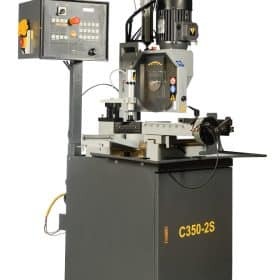 The P350 Cold Saw is another among HYDMECH’s line of great cold saws. 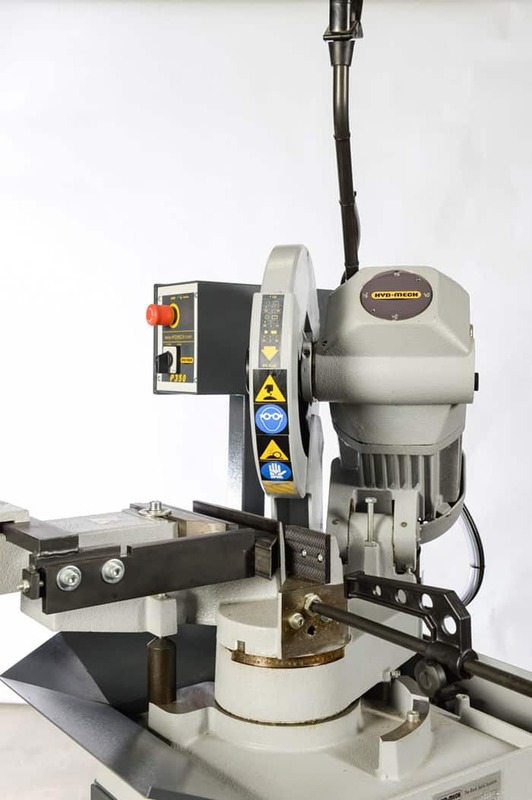 The fact that it is a manual pivot arm cold saw makes it the right fit for small job fabrication shops. 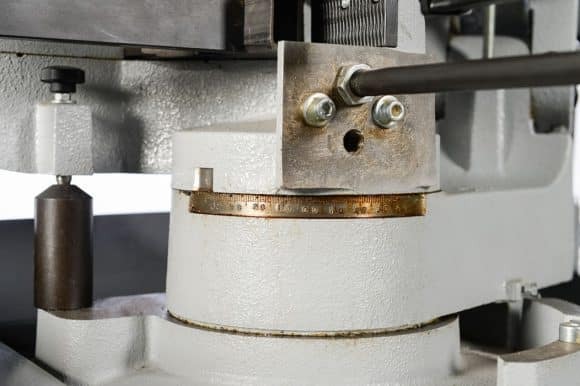 It has the ability to miter metal cuts from 45 degrees left to 45 degrees right. 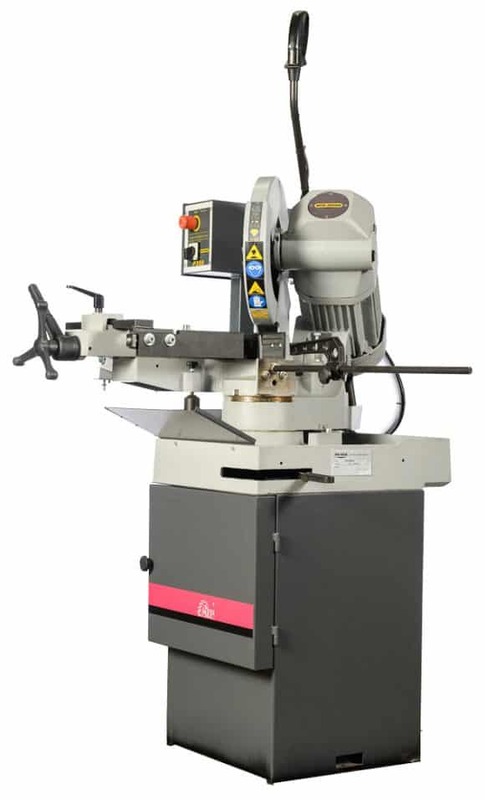 It also features a 4 1/2’’ round hollow capacity and has a 1.5/3 HP motor as well as a 14’’ blade. The P350 is the industry standard when you need quick, clean and accurate metal cutting. 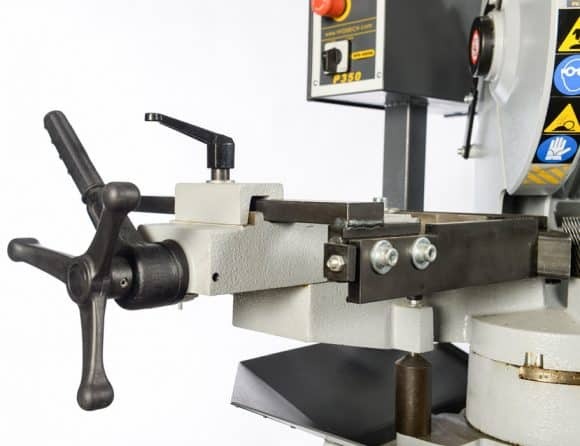 Has manual vise with an anti-burr clamp clamping on both sides of the cut. Has a material stop rod to enable multiple cuts of the same length. Has a flood coolant that has an electrical submergible coolant pump. It has a maximum blade size of 14’’. It has a 1.5/3 HP motor. It miters 45 degrees to the left and right.